This website hosts the resources which accompany the volumes of the Dialects of English book series. The files are made available free of charge, but are copyrighted and may only be used for the purposes of teaching and research. They may not be copied, further distributed or sold in any form. The author of Newfoundland and Labrador English is Sandra Clarke. Transcriptions of the recordings are provided in chapter 7 of Newfoundland and Labrador English (the relevant chapter and section numbers are given in parentheses for each recording below). The recordings are in WAV format, which should play on all media players. 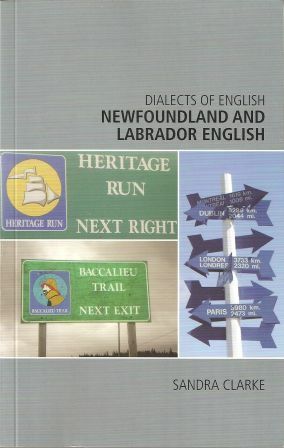 Newfoundland and Labrador English is a volume in the Dialects of English series; click here to go to the series homepage.